SCARCE FIRST EDITION, SIGNED BY GERNSBACK, of one of the foundational texts in science fiction. 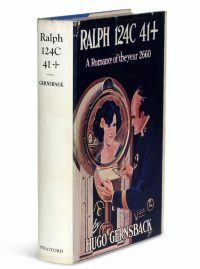 “In April 1911 ‘Modern Electrics’ began serializing Gernsback’s Ralph 124C 41+, written to exemplify (Gernsback’s) contention that fiction could serve to teach science… Thoroughly deficient as fiction, the story nevertheless predicts radar, microfilm and microfiche, tape recorders, television, wireless transmission of power, planet hormones, and weather control” (American National Biography). 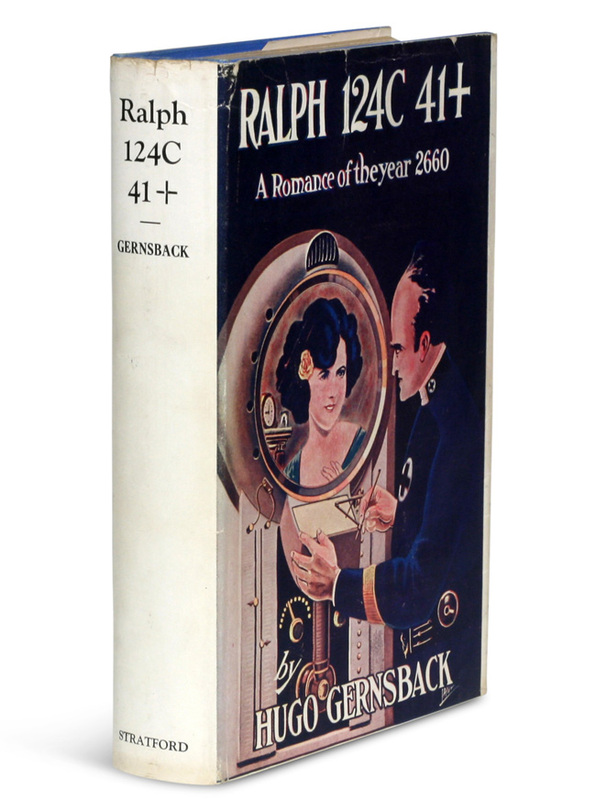 Ralph 124C 41+ was published when many other magazines were struggling, and it led Gernsback to almost single-handedly establish a place for science fiction stories, as he allowed contemporary writers space in his science magazines. The success of these stories may have induced Gernsback to create the first science fiction magazine, Amazing Stories, which started publication the year after Ralph 124C 41+ was printed in book form. The Hugo Awards, science fiction’s most prestigious prize, were named in honor of Hugo Gernsback. Signed on the front free endpaper. 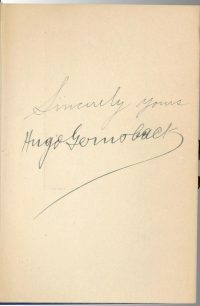 with gilt lettering, original dust jacket. Bookplate of Roy V. Hunt, editor and artist for the science fiction magazine The Alchemist on front pastedown. Book fine with cloth exceptionally bright; original dust jacket with some tape reinforcement at verso edges; closed tear at top of front panel and very minor edgewear. Rare signed.